I ran across this very informative video on how to set a grommet. Hope this helps! 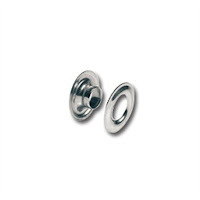 Check out my Etsy shop gottagettadeal to find grommets and other great tools and supplies.